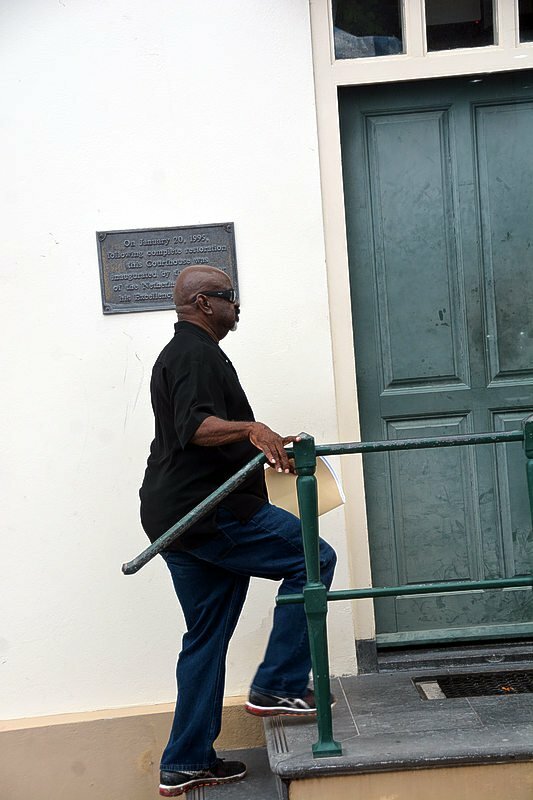 PHILIPSBURG–The Prosecutor’s Office called for prison sentences of between three years and eighteen months in the so-called “Pompeii” investigation involving charges of human trafficking, exploitation of brothel workers, deprivation of liberty and illegal employment against business man and brothel owner Etienne “Tochi” Meyers (67), El Capitan’s manager D.F.F. (57), Le Petit Chateau’s supervisor L.M.R. (52) and assistant R.R. (49), during Wednesday’s Court hearing. The four suspects allegedly committed their crimes between January 2014 and November 2016. According to the Prosecutor’s Office, these crimes were committed against 42 women from the Dominican Republic and Colombia working at the El Capitan and Le Petit Chateau brothels. The Prosecutor’s Office called for a prison sentence of four years, one of which to be suspended on two years’ probation for Meyers. D.F.F. should be sentenced to three years, one of which to be suspended on two years’ probation, the Prosecutor said. If it were up to the Prosecutor, L.M.R. and R.R. were both to be sentenced to 24 months, six of which to be suspended on two years’ probation. Meyers and D.D.F., who are considered the main suspects in this case, may also be confronted with a dispossession claim of US $5 million, in case they are convicted, the Prosecutor’s Office announced previously during a preliminary hearing in this case. The Prosecutor said the women working at the two brothels had been recruited in the Dominican Republic and Colombia and given the wrong impression about their income, deductions and labour conditions. When Le Petit Chateau and El Capitan were raided on November 1, 2016, 22 women were working at these establishments without residence and work permits, the Prosecutor stated. He said the prostitutes were locked up in their sleeping quarters outside working hours. The defendants deny the allegations and claim they had operated within the confines of the law. In fact, attorneys-at-law Eldon “Peppie” Sulvaran and Cor Merx both claimed the St. Maarten Government was the real “pimp” in this case as it had permitted prostitution on the island since 1964 and had established a “toleration policy” where prostitution was concerned. Sulvaran, on behalf of Meyers and D.F.F., and Merx for L.M.R. and R.R., both pleaded with the Court to declare the Prosecutor’s Office inadmissible in its cases against their clients and to acquit them for lack of evidence. The lawyers objected to the fact that the 47 women who had provided statements to the police about the labour conditions at the two brothels could not be heard by the defence before they were repatriated. They also contested the Prosecutor’s statement that the women were misled and exploited, were kept behind lock and key at night, and had to work long hours under harsh labour conditions. The Court will give its decisions in these cases on April 24. Dit bericht werd geplaatst in _Sint Maarten, Onderzoek Pompei, Politie & Justitie, SXM-Daily Herald, Wapen drugs & mensenhandel. Bookmark de permalink .